Santa, a Greek? The Feast Day of St. Nikolaos – a Day of Celebration … of Freedom! Today, December 6th, is the Feast Day of St. Nikolaos − or Nicholas, Nick, Ἅγιος Νικόλαος (Greek for Saint Nikolaos), and also known as Sinterklaas (Dutch for Santa Claus). Yes, Santa Claus was (Oops! I meant, is!) Greek. Medical terminology … derived from Greek. Catholicism … Greek roots (I’ve had some heated discussions on that one – being the Roman Catholic that I am!). Yes, this ancient, brilliant and culturally rich civilization is the birthplace of many great things and people, not the least of which is our beloved Santa Claus. Born (≈ 270 A.D.) in the Greco-Roman town of Myra (in Lycia <of Asia Minor> – now part of modern-day Turkey), Nikolaos was a very pious man. He was also extremely practical, generous and kind. The youngest man ever to become a priest (and later, a bishop), Nikolaos performed many kind deeds, such as throwing bags of gold coins down chimneys to aid the poor and providing dowries for women to save them from lives of lechery. He is often depicted (in art) as wearing dramatic red robes and holding three gold coins. His “Name Day” is the anniversary of his death (December 6) and this day is still a gift-giving date in many countries, although December 25th has become the de facto date for gift exchange within the Christian faith. 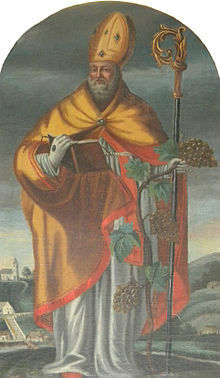 St. Nikolaos had a reputation for secret gift-giving and is considered the patron saint of sailors and children, butchers, bakers, and judges. He is also the patron saint of Greece. What really made him so special? He was a generous soul whose generosity was born of an understanding and empathy for those in pain (physically, emotionally and spiritually). He was persecuted and imprisoned for his faith, which made him all the more compassionate and an ardent supporter for people who were battling a loss of freedom. Freedom. We live for it. We fight for it. And, we die for it. 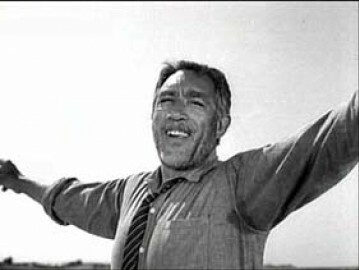 Anthony Quinn, as Alexis Zorba, in the film (Zorba the Greek), directed by Michael Cacoyannis. Alexis Zorba: …he never dares cut the rope and be free. Which brings me to modern-day Greece. And these are my own personal, editorial comments…. Today, Greece is embroiled in an economic crisis that is threatening the freedom of their country. The choice: become deeply indebted to the European Union, but maintain solvency OR go into insolvency, but maintain a degree of independence. In my lifetime, I’ve experienced economic prosperity and not-so-prosperous situations, like: being indebted, and therefore enslaved AND being cash-poor, yet − amazingly − free. And then, slowly and steadily, pick themselves up, dust themselves off, and start fresh. Back to St. Nikoloas – his name means “victory for the people” − very apropos. I will leave it at that. One more word, to my own, special and beloved Nick ….. as well as all the other Nicks in the world who celebrate their Name Day today …. χρόνια πολλά (hronia polla / Happy Name Day) ! This entry was posted in inspiration, other musings, spirituality and tagged Agios Nikolaos, Alexis Zorba, Freedom, heatherfromthegrove, Michael Cacoyannis, My Big Fat Greek Wedding, Nikos Kazantzakis, Ohi Day, Santa Claus, Sinterklaas, St. Nikolaos, Zorba the Greek. Bookmark the permalink. Wow, what a passionate post. If ever I doubted it, it’s pretty clear to me now that Greece is indeed your adopted country, by way of culture, folklore, history and even national character. Thanks. It’s nice to read something that’s really from the heart. Passionate, with a little dash of madness …. that’s me! Σας Eυχαριστώ Πάρα πολύ! (Sas Efharisto para poli/I thank you very much! ).